I am incredibly grateful to have been able to do what I love for the past few weeks, and have so many people to thank for coming on this latest journey with me! I'll be writing a far more comprehensive journal entry in the coming weeks, where I will describe my opening act show for Olly Murs, my summer recordings at Abbey Road, and both the rehearsal process and performances for RedFestDXB and The Fridge Concert Series. In the meantime, I wanted to write a quick thank you note with the last two shows still fresh in my memory. 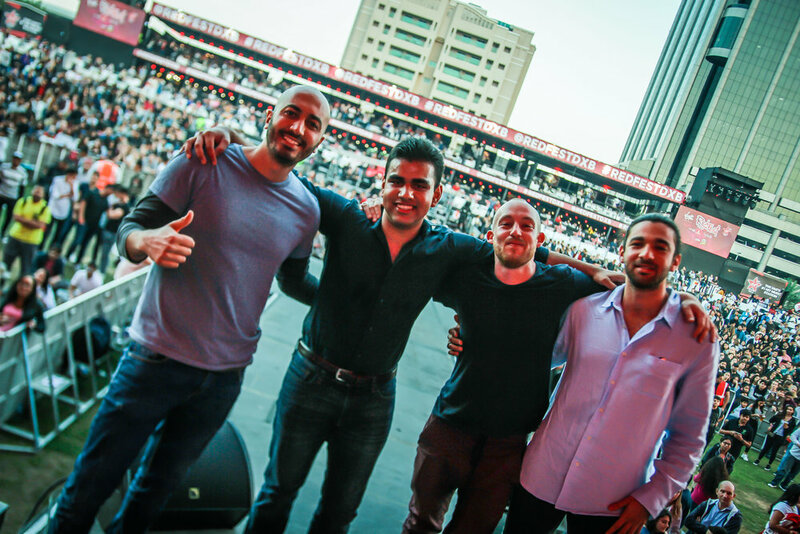 Thank you to my band members - it's been such a pleasure playing alongside Anthony, Tarek and Colin these past few weeks, and I continue to learn so much from all the great musicians across the UAE. Thank you for all the late night rehearsals and for helping me transform my original songs into their fully-fledged form. 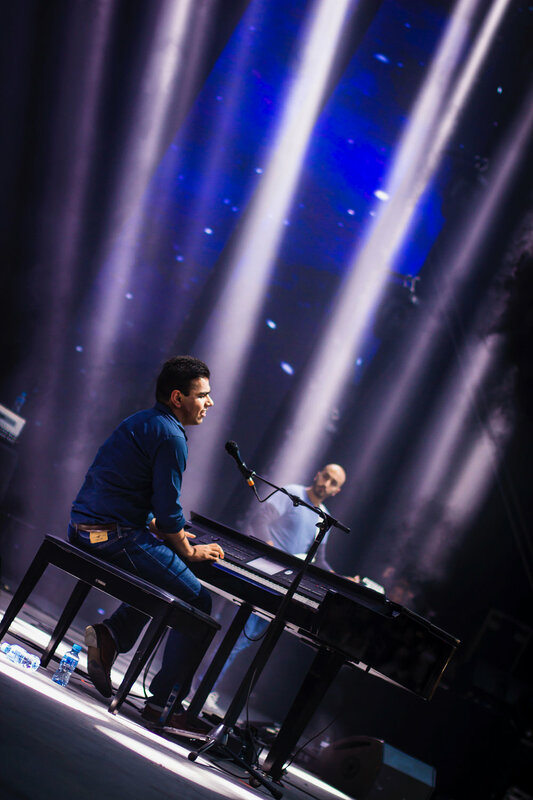 It always fills me with immense pride when I hear the evolution of my songs, and the creative input and musical expertise of Anthony, Tarek and Colin has led me to feel that way during each of our rehearsals. Thank you to Az, who never fails to answer my calls and arrives on set with a bundle of equipment with a few hours notice. Az has been taking photos and videos during almost every show over the past few years, and I can't thank him enough for documenting my performances and musical journey. Thank you to Daithi for recording my shows - I'm still not quite sure how you manage to get behind the audio desk each time, but it's always reassuring to hear your voice through the speakers during soundcheck! Thank you to Virgin Radio and Done Events for having me back on the stage where I first performed 2 years ago as a 16-year old. 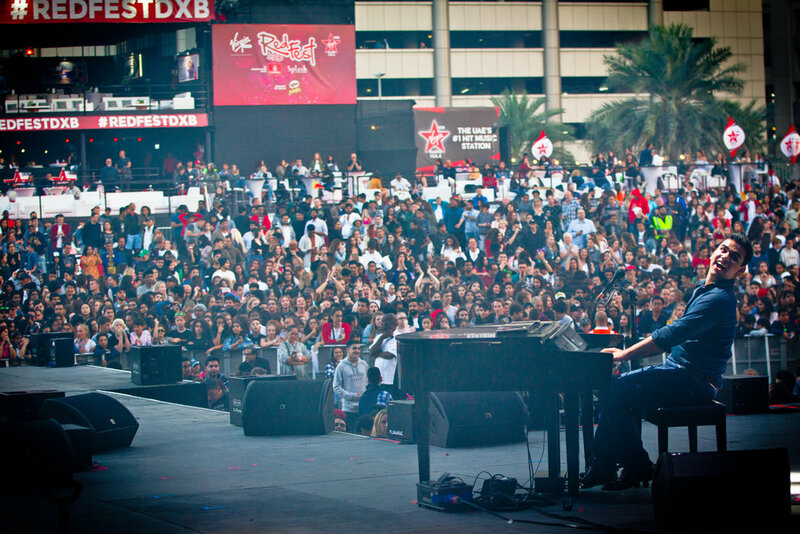 Festivals like RedFestDXB have the potential to shape the next generation of artists in the UAE, and I truly hope that our festivals and concerts grow to become a reflection of the artistic talent in this region. There is still a long way to go, but I can say with confidence that our local music scene has made leaps and bounds in the past few years; it is always difficult to sustain the momentum of a cultural movement in a place like Dubai, but our musicians continue to create and collaborate, which is the foundation of any thriving music scene. Thank you to Alex and everyone at The Fridge for helping me curate my first original music show. I was so thrilled to be able to perform a set full of original songs, and it was an honour to close Concert Series Season 25 - I can't wait to see what Concert Series Season 26 has in store! 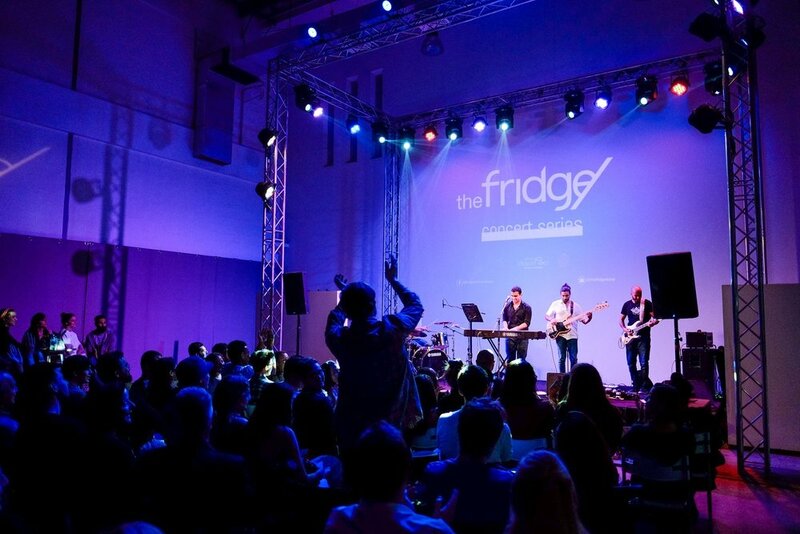 I should also mention that the band and I rehearsed at The Fridge's Live Room for both Concert Series and RedFestDXB - thank you to Saad for scheduling our rehearsals! And finally, thank you to my friends, family and everyone who came out to watch these shows. I've realised that the second most daunting thing after deciding to present your creative work is wondering whether there will be an audience who cares enough to listen. During both shows, I was humbled by both the turn out and audience reaction, and really hope to carry that energy into future performances. As a young artist, I continue to learn more about myself and about performing with each show, and I look forward to working on my craft and trying to elevate my live performance in the coming months. With school exams looming in the final stretch of my time at DC, I won't be as active on the performing front, but I certainly will continue to write, compose and reflect, and I look forward to sharing the outcome with you all as always! Look out for my next post in the coming weeks, where I hope to share some exciting news on what the future holds.